The Game Group is a specialist retailer of PC and video games, video consoles and related accessories. They operate from 1,100 stores worldwide with concessions and franchises in nine European markets and Australia. 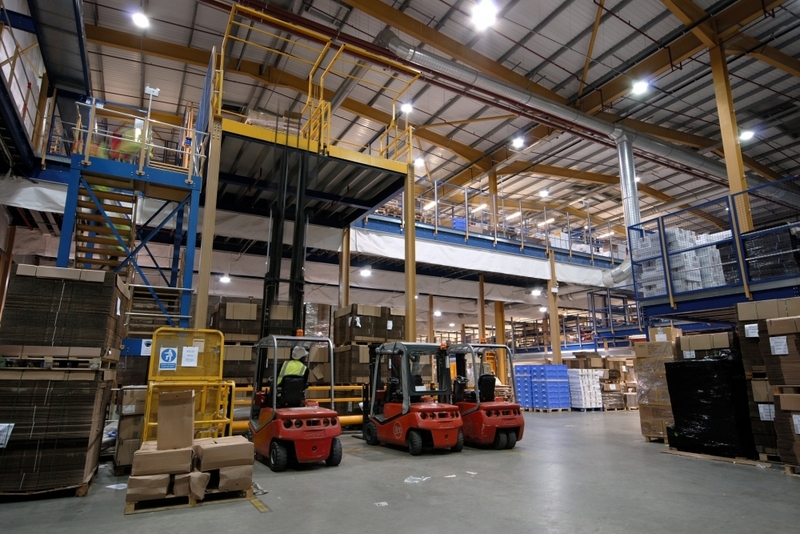 To meet their current requirements (and anticipate the practical consequences of their projected growth) they decided to move to a purpose built UK head office and warehouse in Basingstoke. 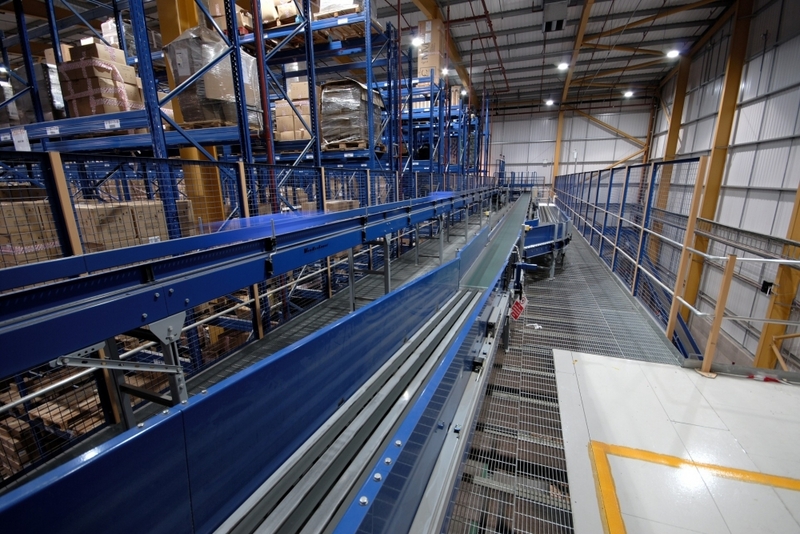 And to ensure that the new warehouse layout and equipment would successfully enable them to stock to their retail outlets on time - crucial for their business - they appointed authoritative logistics consultants Alan Wilson Associates. 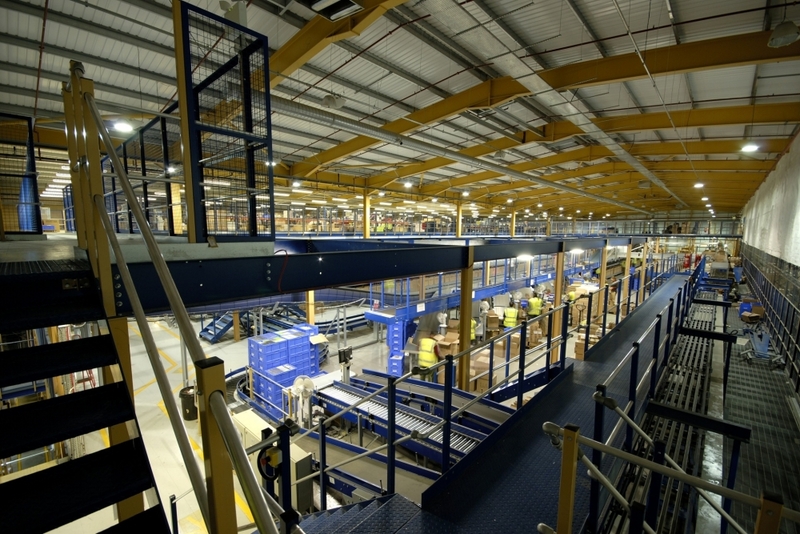 The main focus of the storage and sortation function of their new warehouse would be a three level mezzanine with phased integration. The first phase would be a 7metre high mezzanine generally 80.3m long x 50.3m wide, plus a 4.5m x 5.3m pallet loading position, approximately 4065m2 in total. Following a competitive bid process, the contract for the design, supply and installation of the mezzanine was awarded to us. 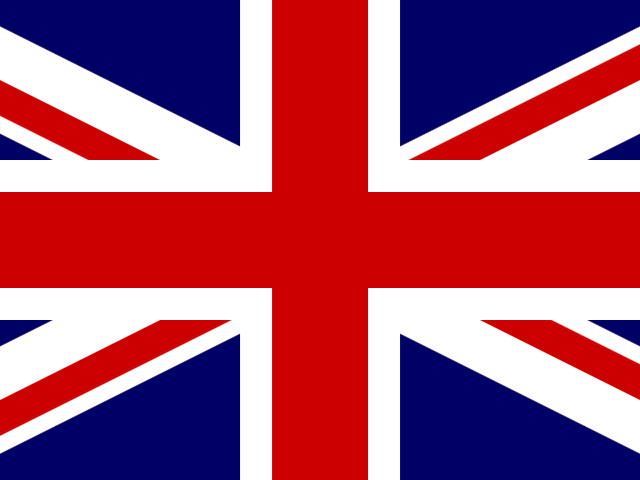 An element in Game's decision was that we had previously successfully worked with Alan Wilson Associates on a number of high profile projects, both in the UK and on mainland Europe. 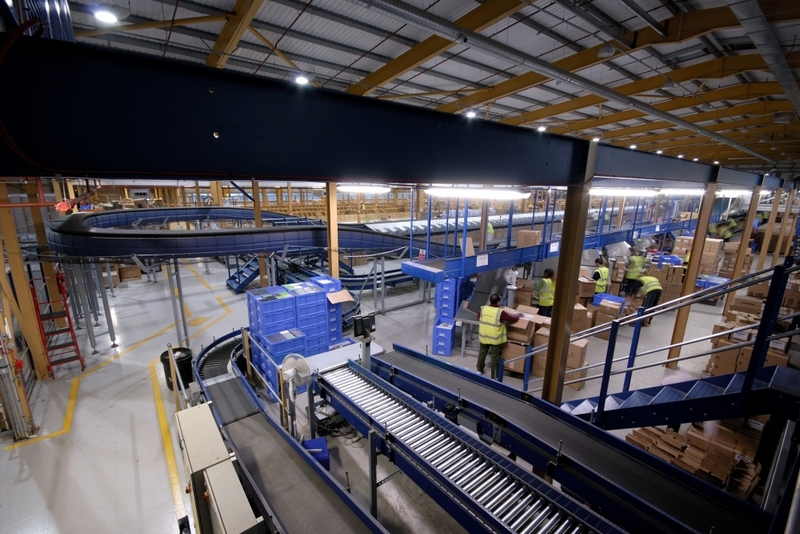 In addition to the main mezzanine, we were asked to design and install a 100m2 open mesh decked link-bridge carrying a conveyor mini-load crane aisles with a capacity of 16200 plastic totes. In addition to the 7 metre mezzanine level, the support structure for the 15m high lobby was to constitute part of the initial phase. Our design allowed for a column grid of 10m spans on the main beam, with a 5m interval in the columns. As a later level at 11m was planned, the 10m beams were stressed to take a mid span column to allow the later installation of that higher level, with light duty lifting equipment to lift the new steelwork. 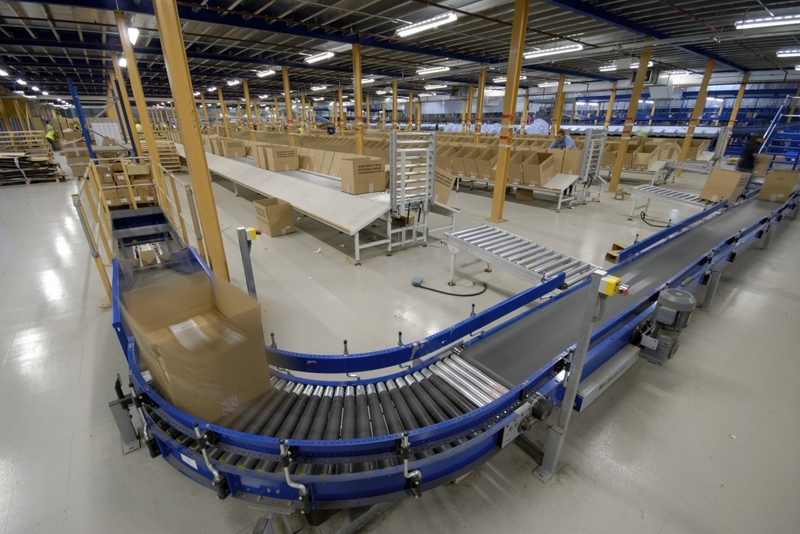 As well as carrying Game's products, our mezzanine needed to support a sorter and conveyors. Conveyor support structures were also part of the brief, to enable product movement to the ground level. Three years after the initial mezzanine was completed and the new warehouse opened, Game's business had grown to such an extent that they needed to expand again. 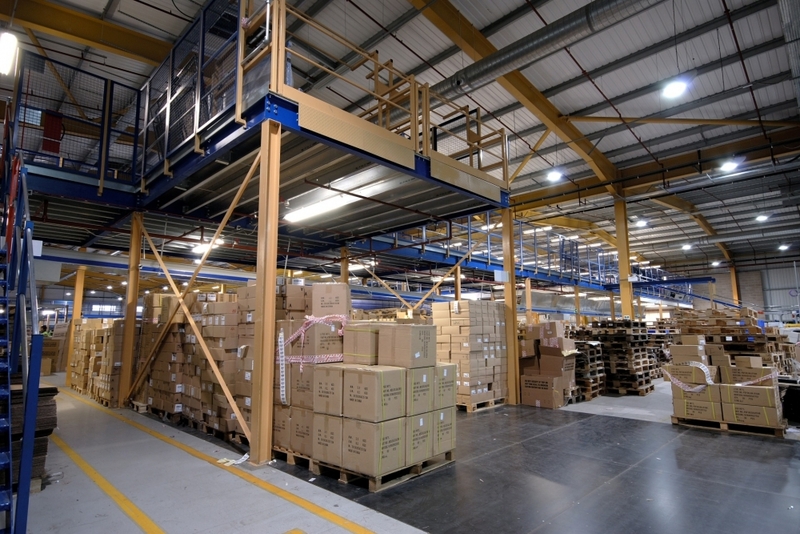 So they asked us to install the second phase of the mezzanine level at 3.5m to serve as an order picking/packing floor. This 1630m2 floor would run the full 80.30m length below the 7m level. Its width (20.30m) was to be the equivalent of two of the bays of the higher level floor. Consultation with fire safety experts dealt with the increased fire and smoke dangers by implementing advice involving sprinkler extensions, firefighting staircases and sophisticated smoke ventilation. 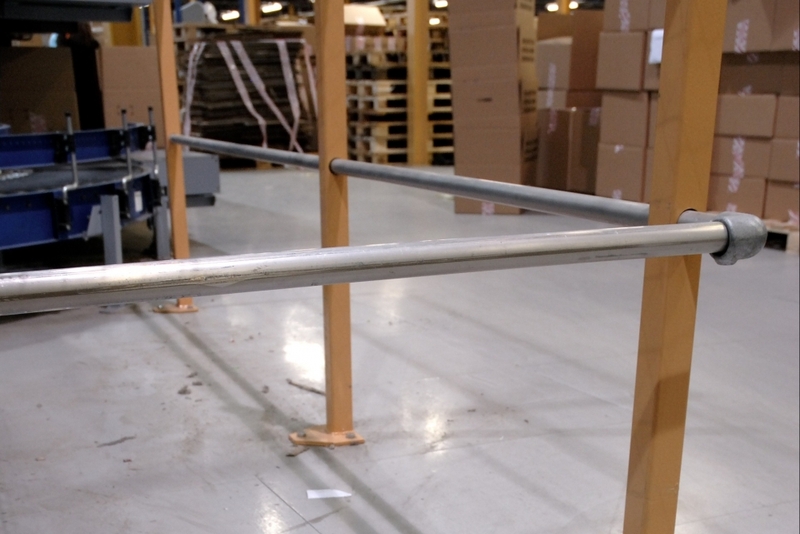 A year later, we installed part of the 11m mezzanine level above the batch order picking system. This mezzanine was 70.25m long and 25.3m wide, and had a walkway extension to link the existing 11m steelwork and a conveyor bridge. The 11m level was supported by stanchions fitted to flush mounted cap plates atop the stanchions supporting the 7m level. Not long afterwards, 3.5m level was extended by a 33m2 section designed to act as a link to a separate 3.1m high 107m2 mezzanine. This was constructed partly from materials repatriated from Game Paris's warehouse. "Having just moved all of our staff over to our new headquarters, we were pleased that the changeover to the new Basingstoke operation went well. We were impressed with all the Mezzanine staff who were involved with the project. From their drawing office through to the guys erecting the steelwork, their commitment to a successful project was apparent throughout." "Being as busy as we are we knew we had to go ahead. At the same time we were aware that we couldn't risk a situation where the installation process would run beyond an agreed timetable. I am more than pleased to say that Mezzanine kept their side of the bargain and completed the work well and on time. I would certainly be willing to recommend them to other companies looking for reliable partners in such a situation."